January went quickly, a couple of busy harvesting weeks for us, then a couple of quiet weeks, which enabled us to get our seed sowing glasshouse tidied up and start sowing leek seeds. Martin has been ordering seeds for the coming season, always an enjoyable job! It’s amazing to see quite how many vegetables grow from 2 fridges full of seeds (we store our seeds in fridges as they are pest proof and stop the seeds overheating in the summer). More than half of our vegetables are grown from seeds sown in plug trays, with some crops, such as carrots, parsnips and some salad leaves sown direct in the ground. Potatoes are grown from seed potatoes and most of our onions are grown from sets (small, immature onions). 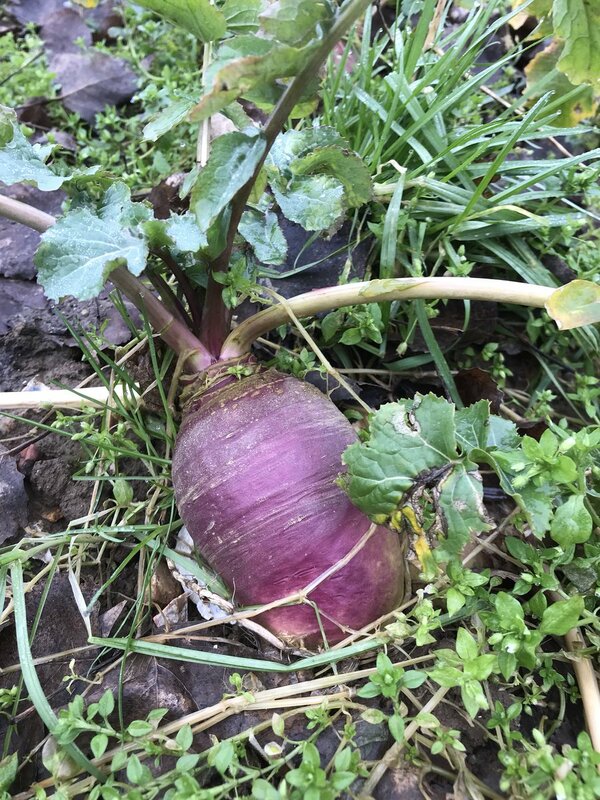 Beetroot – we still have some beetroot in the ground, protected from frosts by a layer of straw. I like to grate some in a stew or chilli (adds texture, taste and great colour!). It’s also good grated in a raw veggie salad, cooked and made into beetroot pesto or, of course, there’s beetroot soup, the classic borscht or beetroot and apple makes a good combo.